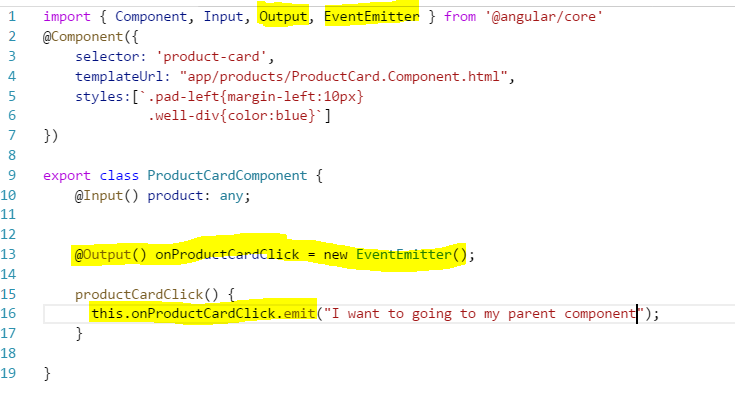 In my last blog I have explained about @Input decorator to pass data from parent component to the child component. @Output is on other hand used in response to some event within a child component to receive some information for the parent component through some events. If you are not read my previous blog , I would suggest you to read the same. I have used the same example here also. Let’s talk about the child component first. 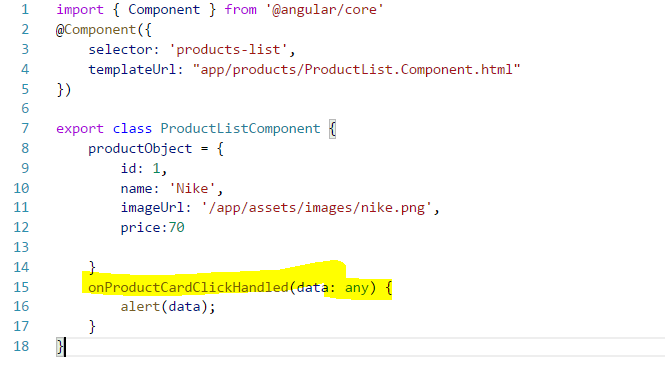 You can see I have a simple method named productCardClick() which I am calling when clicking on the button. It’s pretty straight forward. 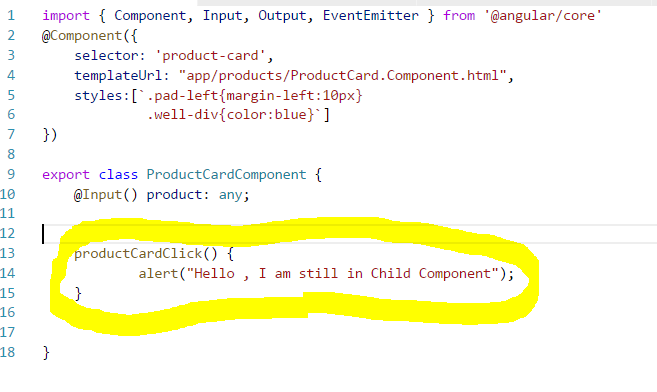 Next I am going to pass some data to the parent through the same productCardClick() method in the child component. In order to do that first you have to add a new property of type EventEmitter and emit the data you want to pass in to the parent component through this property like below .